Summer appears to be fast gaining upon us and as the season becomes more apparent, so does the commonality of festivals; one in particular being Glastonbury. Glastonbury has almost certainly become one of the biggest 'alternative' music festivals worldwide and is renowned for it's mud and fantastic music. The music lover within me was more than a little jealous of all those who have attended the festival as the lineup is simply fantastic but at least in this day and age, the performances are bound to be up on Youtube by the end of the week. Festivals such as Coachella, Radio 1's Big Weekend and the Isle of Wight Festival have all made headlines for the wacky persona many attendees tend to take on but none compare to Glastonbury where fashion takes on a more boho hippy vibe. 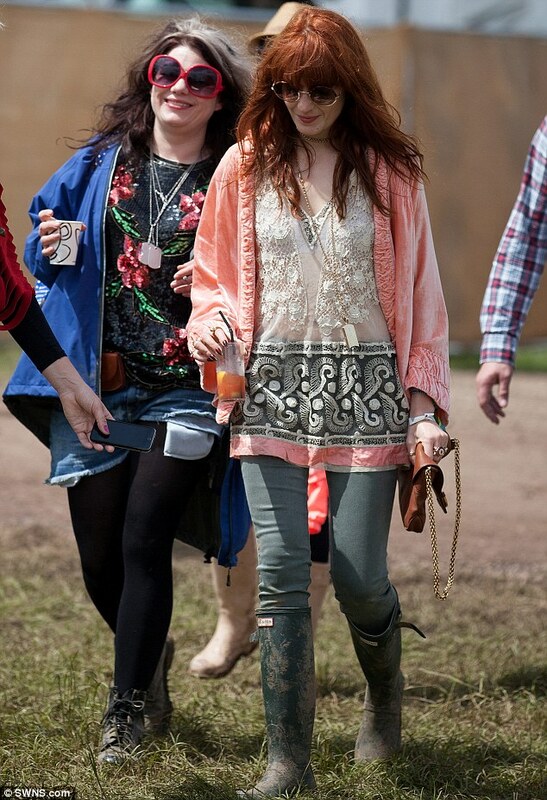 Glastonbury has become a renowned hang out for many a celebrity and as expected, they turned out in full force decked out in attire that could only be described as suitable for Woodstock; alas it is all part of the experience. My favourite outfit has to have been Millie Mackintosh's who did not take hippy to the extreme as Vanessa Hudgens did in Coachella, still reigning onto her typically classy style whilst remaining entirely appropriate for the occasion. What are some of your favourite outfits so far?